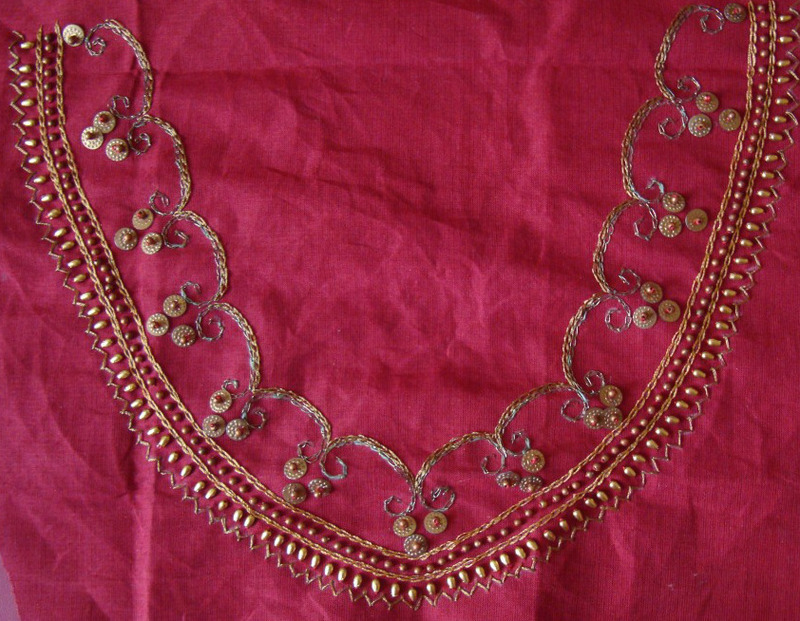 This beaded neck pattern was especially designed for my niece. 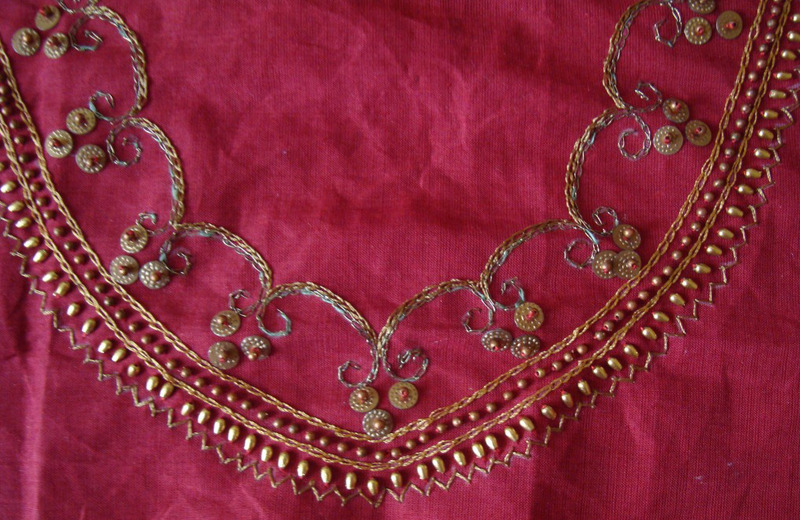 She [Gayathri] loves maroon colour and antique gold beads. 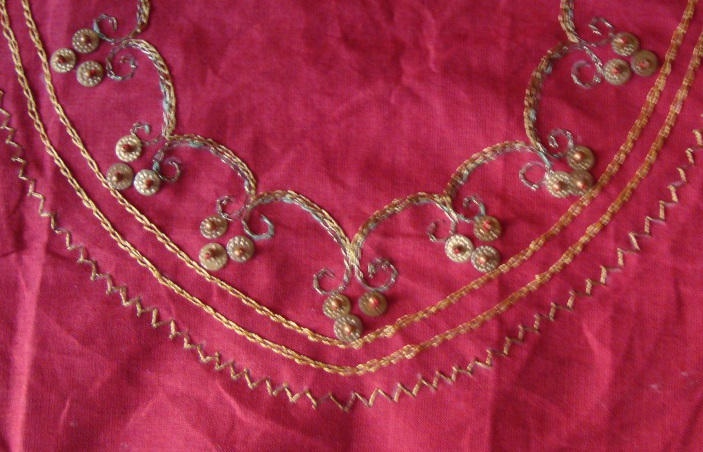 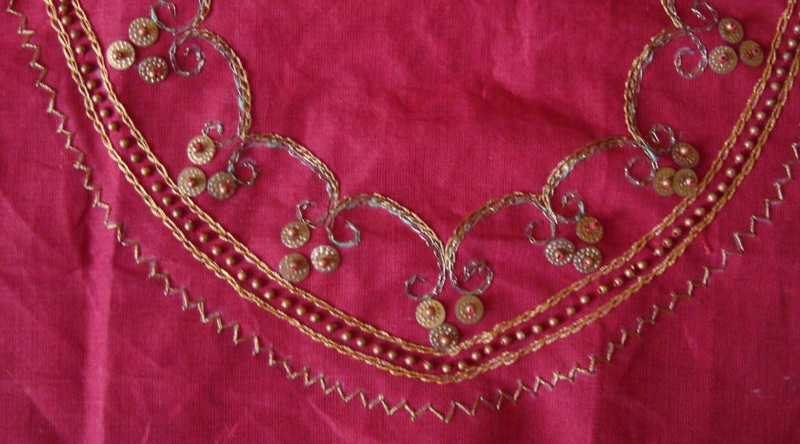 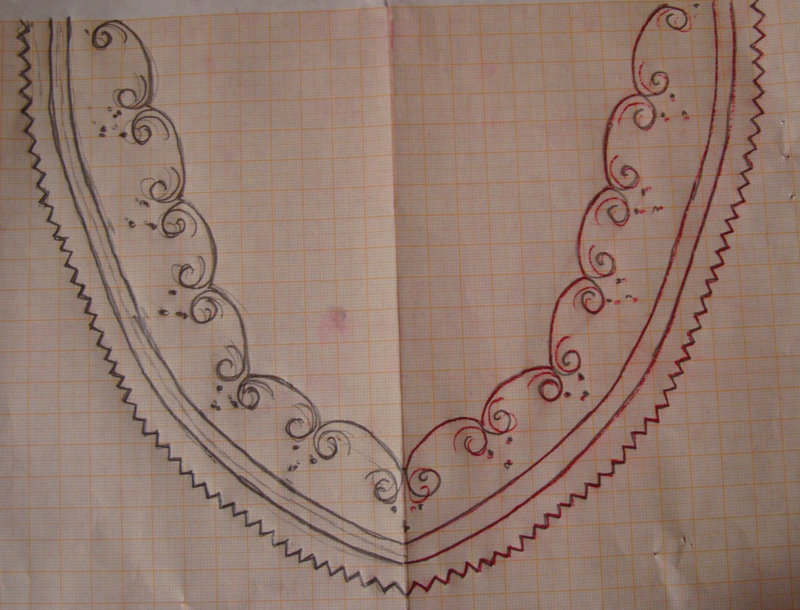 The embroidery – chain stitch outlines, back stitch were worked with antique gold metallic thread and silk threads. 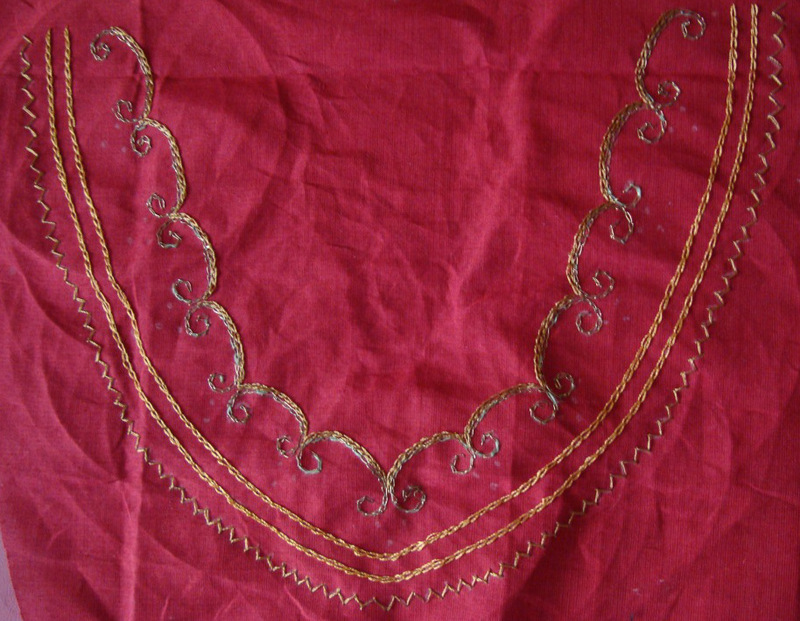 I did not buy the tunic, because she wanted do the matching on her own.